This harmoniously designed-from-scratch island house gives its owner a place to get away from it all. HERMAN WAS LOOKING for a place to get away from it all. And he wanted that place to be his home. 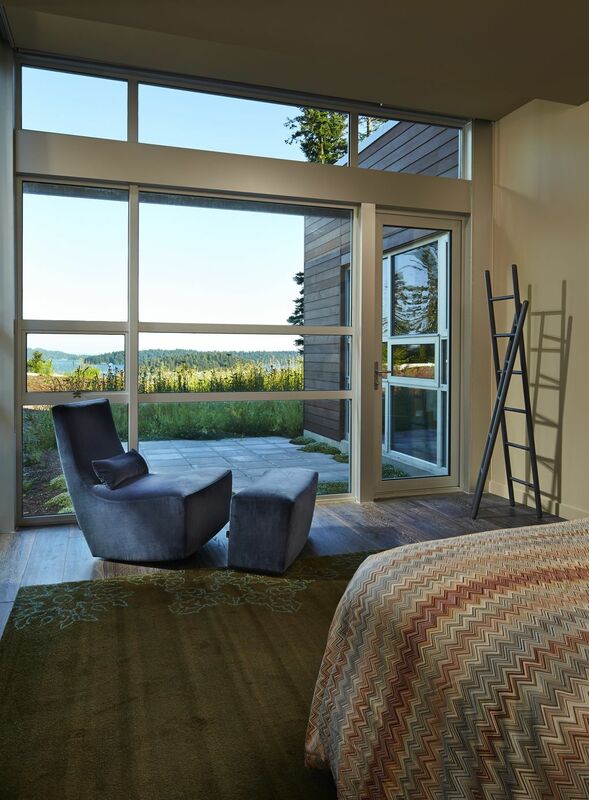 “My favorite part is watching the fog roll in,” he says of his spare and contemporary home on Fidalgo Island. 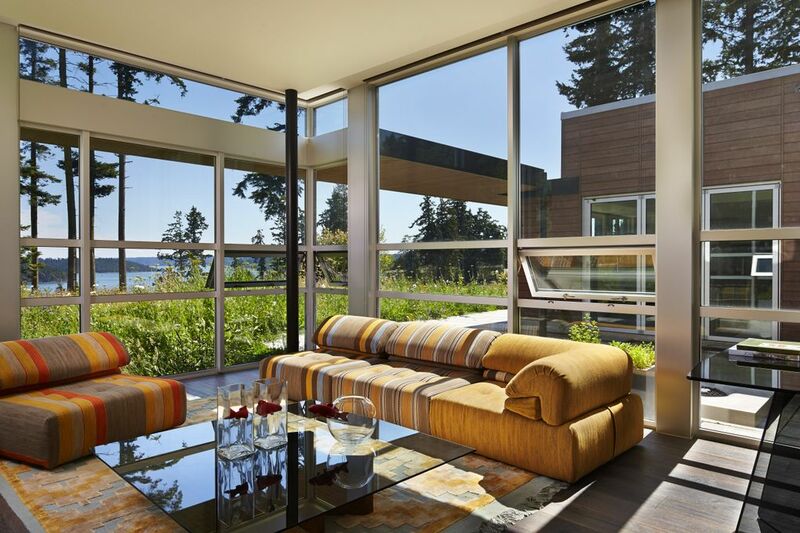 We are seated in the living room; it’s a small-tall space with a blackened-steel fireplace and two walls of glass that, in the foreground, overlooks the meadow that is Herman’s yard and, off in the distance, takes in dreamy island-water views in sapphire and emerald. Yep, the place is a gem. Clearly, Herman has given this thing a lot of thought. 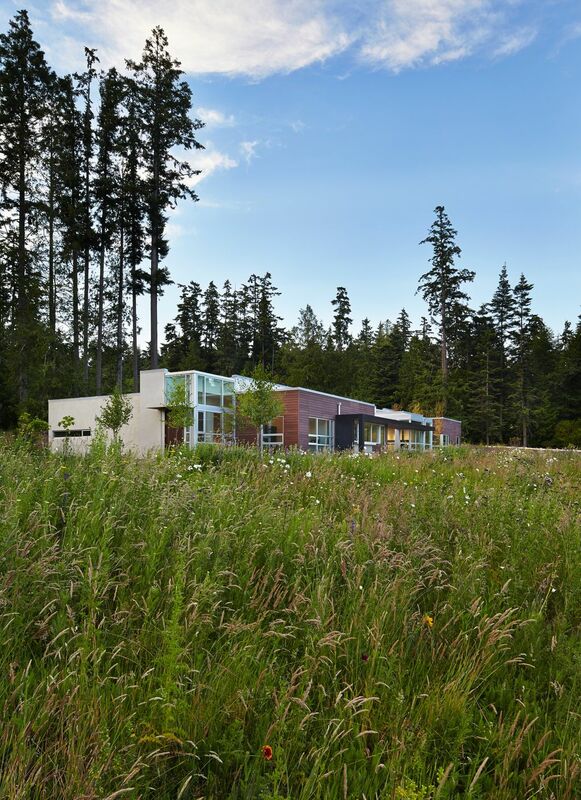 By the time he headed out to the Seattle office of the American Institute of Architects in search of professional help, he had a pretty good idea about his needs and desires. 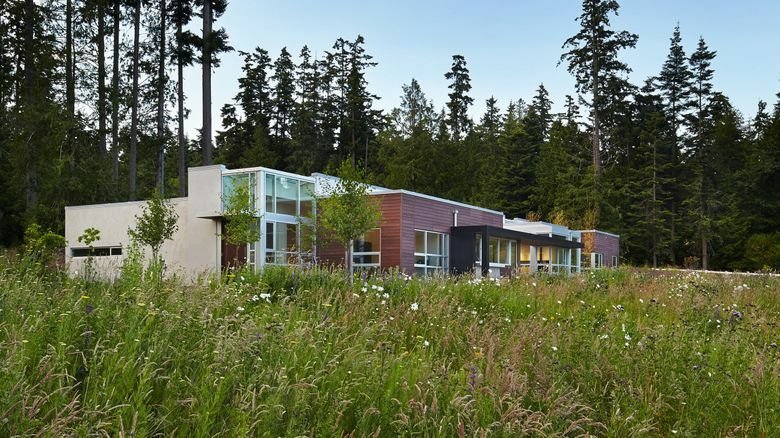 It was there that Herman began to assemble his team: architect Jim Castanes, project manager Alev Seymen, interior designer Polina Zaika of MusaDesign, contractor Roberts Wygal, landscape architect Charles Anderson, landscape contractor Chip Ragen of Ragen & Associates, and feng shui consultant Shan-Tung Hsu of Blue Mountain Institute. 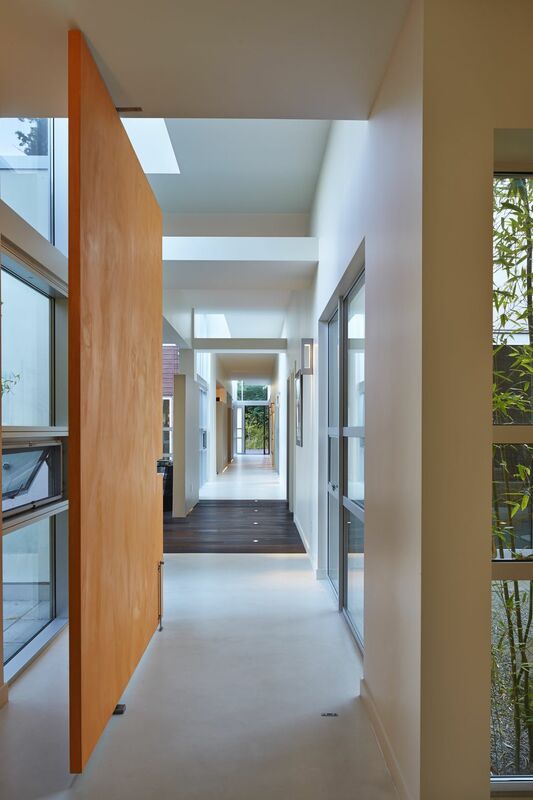 As soon as the substantial and pivoting front door opens, first impressions shoot straight to, “Oh!” One long, wide and white (the kind previously reserved for heaven) gallery hall in Milestone, a cement-based finish that leaves surfaces with depth and a silky texture. 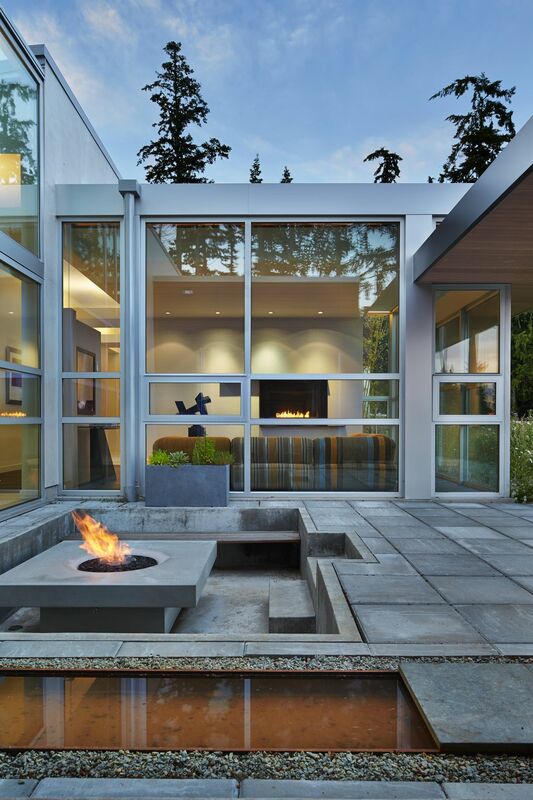 There are also skylights and window walls to two courtyards: one in the back featuring a lone red Japanese maple and the other, waterside, a firepit. 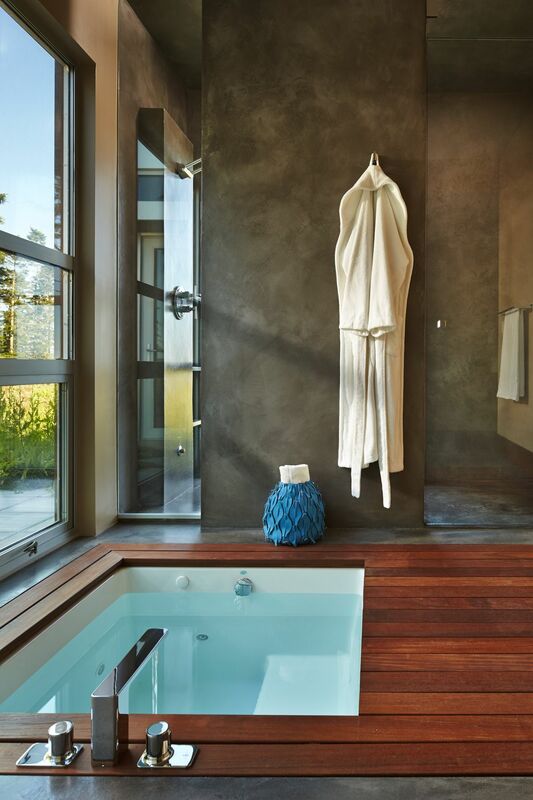 A Corten water trough appears to flow from one to the other, right through the home. Down the way, a band of European oak cuts across the field of white Milestone. This is the earthbound turn signal into the living room. “Polina was very insistent on the oak, so I trusted her,” Herman says. 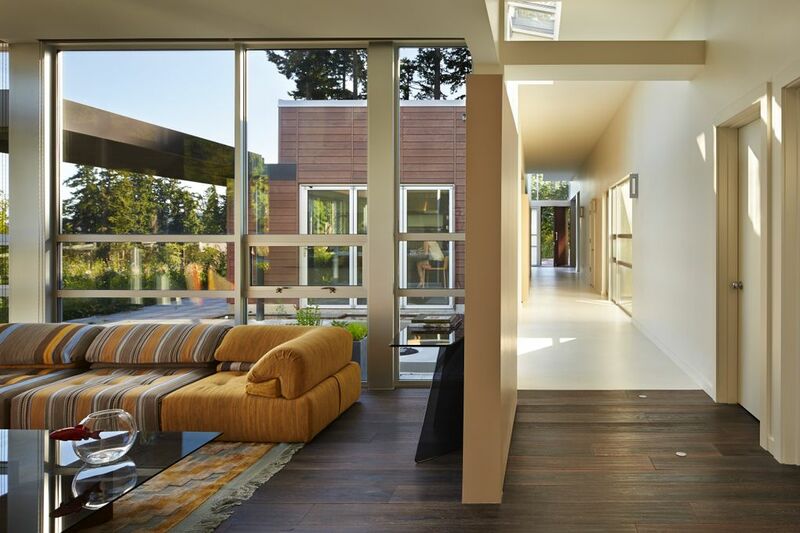 The gallery hall, the home’s spine, ends abruptly with a large and bold butterscotch-colored pivot wall. 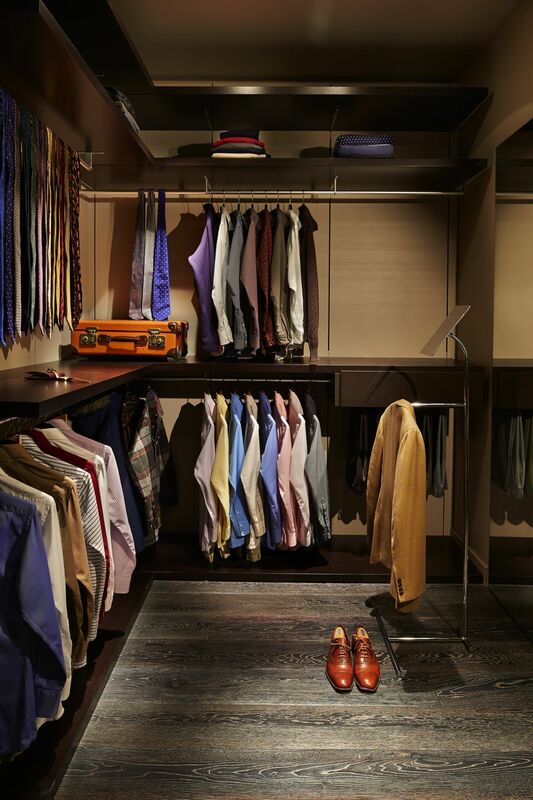 It ensures that private spaces — Herman’s office, master suite, guest wing — are private. Herman decided years ago that if he was going to have to cook for himself he was going to be good at it. He took classes, collects issues of Cook’s Illustrated. 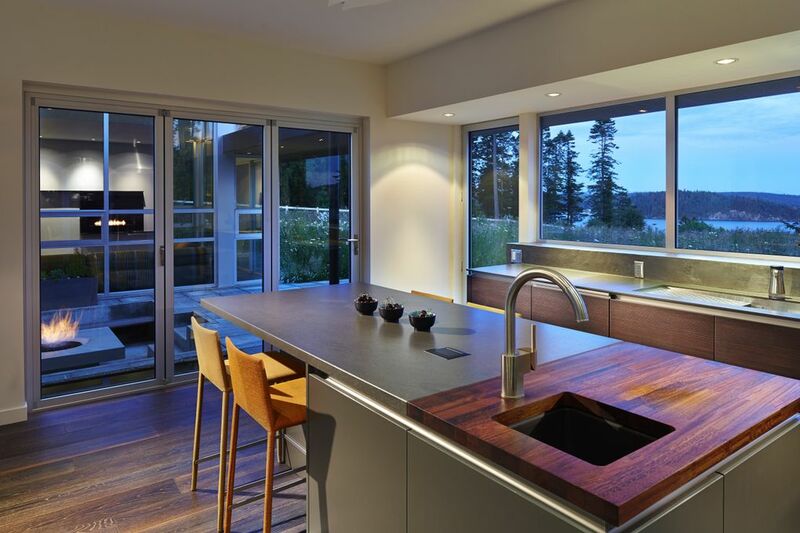 And he and Castanes spent much time on the design of the kitchen, placing appliances, counters while keeping all upper spaces open to the view; Similk Bay, La Conner in the distance. Now, when Herman pulls into the garage he enters directly into the skylight-bright foyer. Inside, there is a place for everything, and everything is placed there just so. Furniture, family heirlooms and pieces chosen by Zaika, are sparse and well-curated. Life can get cluttered. But not here. Hsu’s suggestions for harmonious design actually turned out to be reinforcement for Castanes’ design.